Ever heard the name Saygus? No wonder if you have not, Saygus is the smart phone brand which showed up first at the CES 2010 with their VPhone which was a pretty decent android QWERTY phone at that time. The company kept silent ever since. But now after nearly four years of research it seems the company is ready to make a comeback which is sure to make some news. 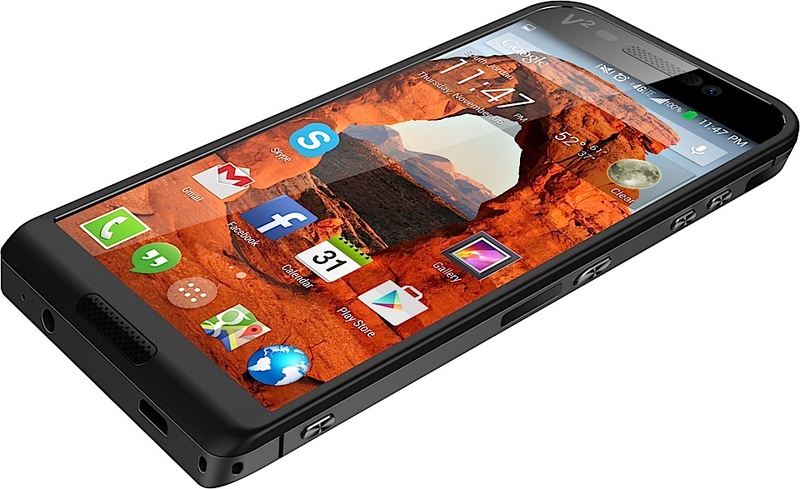 Saygus is now coming back with a high end phone called the V-Squared or the V2. Although five years seems quite a long time to make a phone the specs shows that the company was working hard all these five years doing some heavy research and development. The V2 has an amazing five inch 1080p display. It is powered by the latest 2.5GHz Snapdragon processor accompanied with 3 GB of RAM. It has got 64GB of onboard storage with an expandable memory up to 320 GB with two micro SDXC cards. It has even got super high end features like 60GHz wireless HD for latency wireless HD streaming, Qi wireless charging and 3D audio. To make stunning pictures for you the V2 is equipped with a 21MP camera with OIS and another 13 MP shooter on the front for selfies. The phone is charged with a 3500mAh battery for limitless performance on the go. The V2 is also equipped with some unique features such as the special RF technology for increased network reception, biometric scanner for added security and battery extension for longer talk time. The price of the device is still unknown but if Saygus is capable to place it in the right slot it is sure to make some hot cash.